Just four hours' drive from the Cape Town International Airport, the Garden Route is one of the most beautiful stretches of coastline in South Africa and, arguably, the world. It winds its way for some 200 kilometres via the pretty towns of Mossel Bay, George, Wilderness, Sedgefield and Knysna on to Plettenberg Bay and culminating in the Tsitsikamma Forest - a fairyland of giant trees, ferns and bird life. With such beauty and variety, it’s not surprising that the nature and game reserves of the Garden Route offer spectacular game viewing and gorgeous game lodges for you to stay. 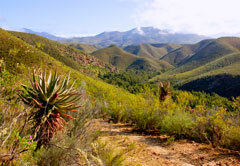 The Garden Route Game Reserve is one of the highlights of this area. 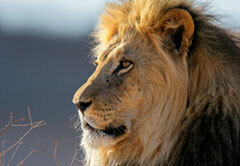 There is a reptile centre, cheetah outreach programme, and opportunities to feed the elephants. 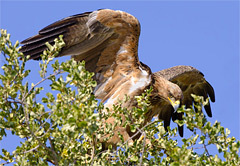 There are also loads of game and bush activities for little ones. 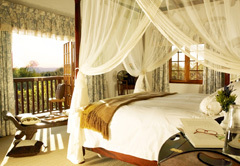 The Gondwana Private Game Reserve is another fantastic park that is home to the Big Five (lion, leopard, elephant, rhino and buffalo) and luxurious accommodation. 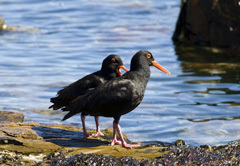 Other popular parks, sanctuaries and reserves on the Garden Route include the Garden Route National Park, Robberg Nature Reserve (look out for the great white sharks in the waters below), Jukani, Monkeyland, and Birds of Eden in The Crags. Although many of these reserves and parks can be toured in your own vehicle (and some even on foot), a guided tour always makes your visit extra special. The knowledgeable guide will track and point out species that you may otherwise have missed, and are eager to share their insights. Click on the game reserve, national park or nature reserve you wish to visit on the Garden Route map or select from the full list below, to view additional information about the reserves and for listings of all lodges listed in the relevant area.